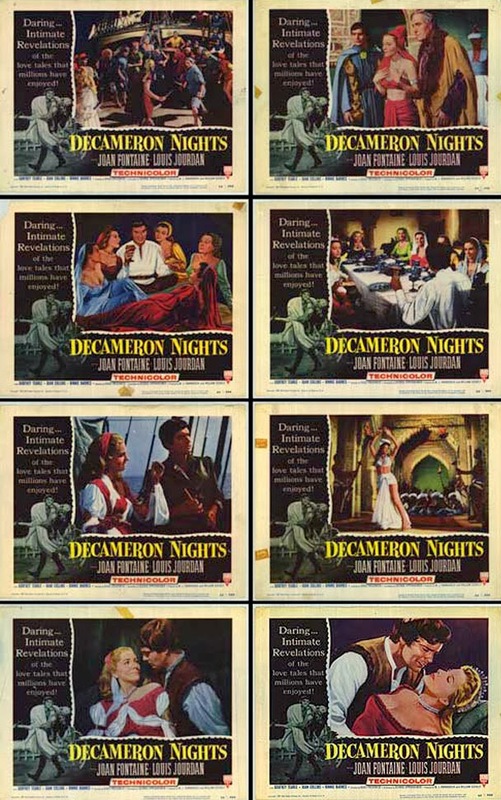 US lobby cards set for DECAMERON NIGHTS starring Louis Jourdan and the late Joan Fontaine. Colorful set but pretty standard fare for the 1950s. Several cards with Joan makes it slightly above average.